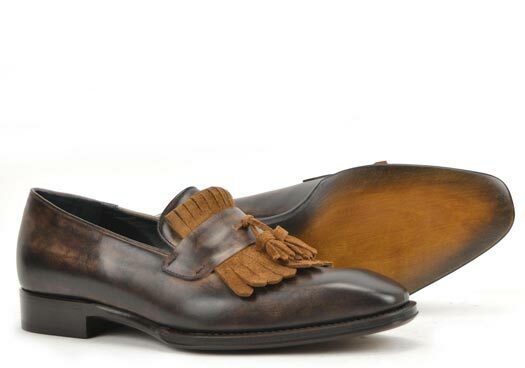 The Exclusive Collection is DIS jewel in crown: as noble as the most important Roman emperors from whom all the shoe models are named, as precious as the premium materials selected, exclusive because every pair of shoes is the result of a long handmade production by master craftsmen who, according to the antique artisanal techniques, take three days to make one pair, almost four hours for the dying phase. 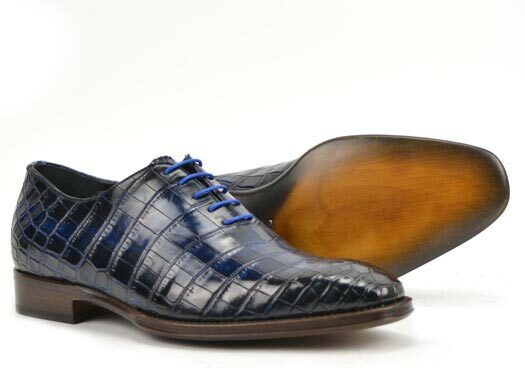 The premium quality leather (calf; crocodile; Shell Cordovan - horse rump - and Kudu - African antelope) is stretched, pinned and stitched rigorously by hand following the edge of the shape to guarantee very beautiful and durable shoes. 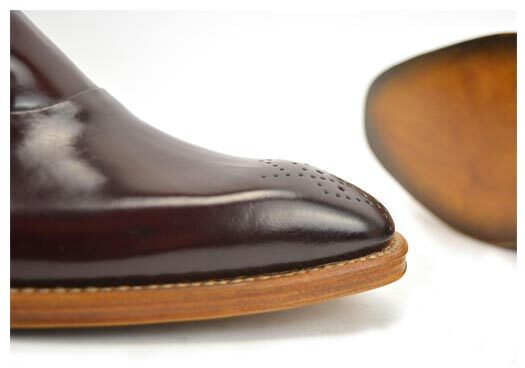 The upper is hand-stitched to the sole according to the Blake or Blake Rapid methods. 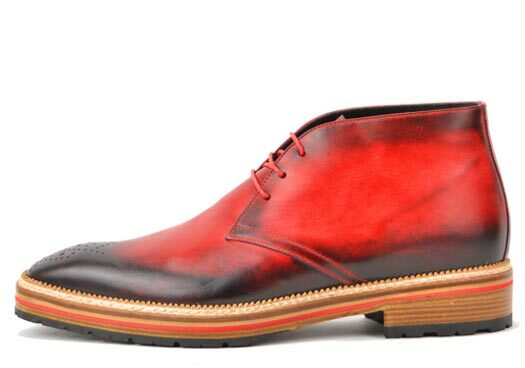 The welts design is inspired by the typical Norwegian and Bentivegna stitchings. 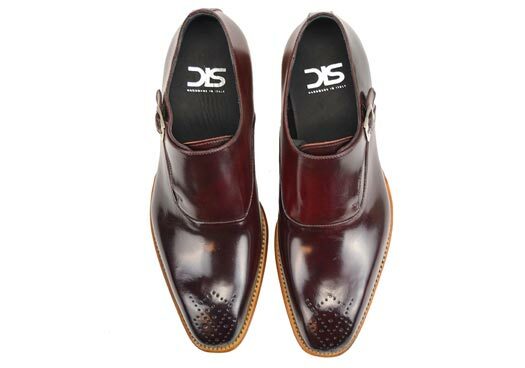 Smooth upper ‘whole cut’ Oxford shoe. 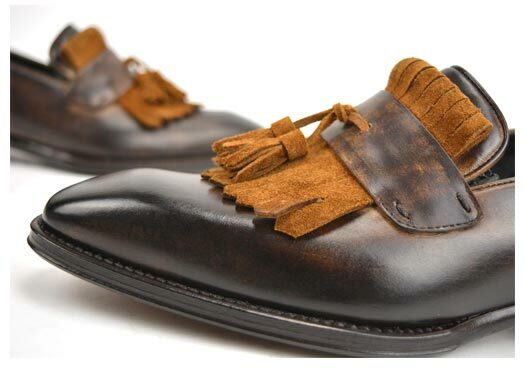 It takes great handcrafting skills in order to smoothly cut the leather into one unique piece that makes up the main shoe upper. 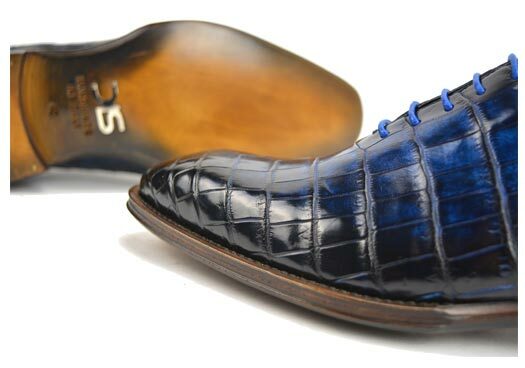 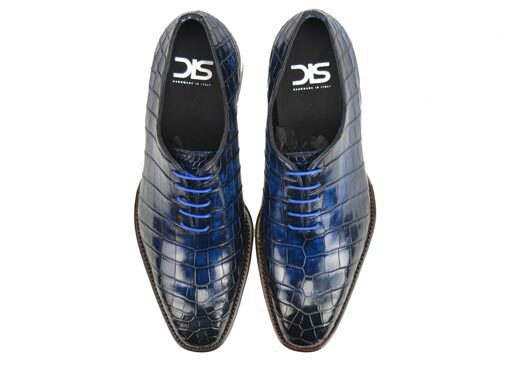 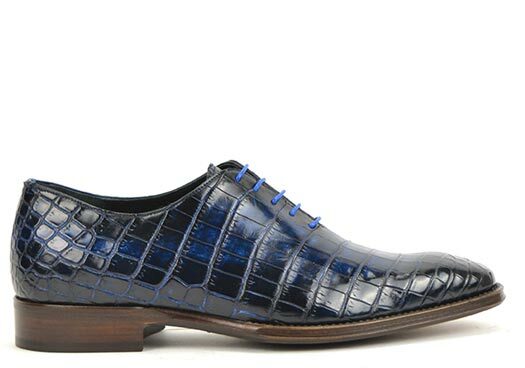 This particular shoe model is considered a statement of men’s elegance and it gains even more prestige in the nile crocodile skin version, coloured by hand. 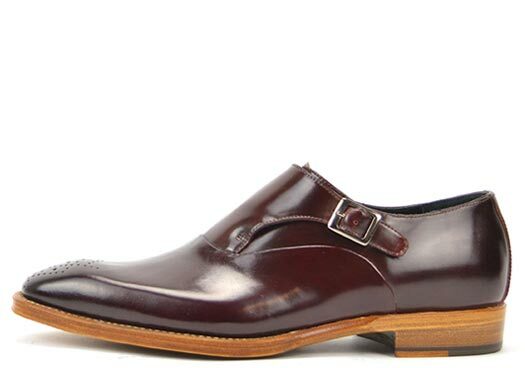 Buckle loafer in burgundy shell cordovan. 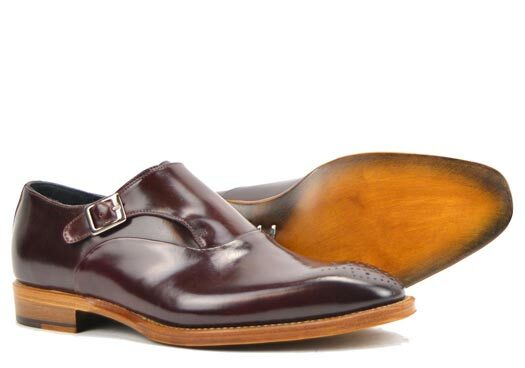 It is characterised by a double leather sole with a Bentivegna construction. 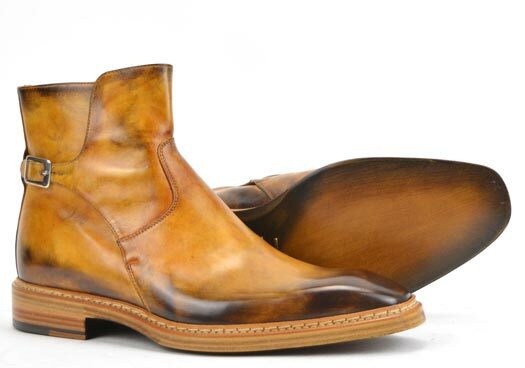 In the horse leather cordovan version the upper is thick but soft and the natural and repeated tanning treatments give it a flexible and durable structure, made to last. 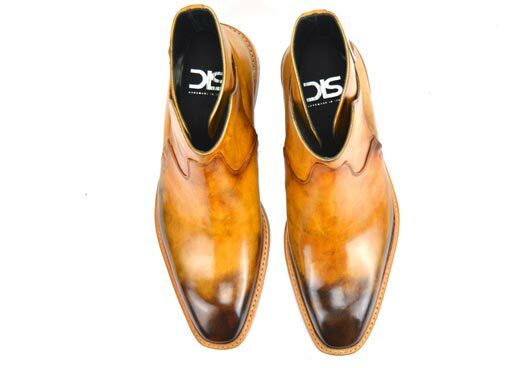 Handcrafted dark brown calf leather with African Antelope Kudu suede in light brown. 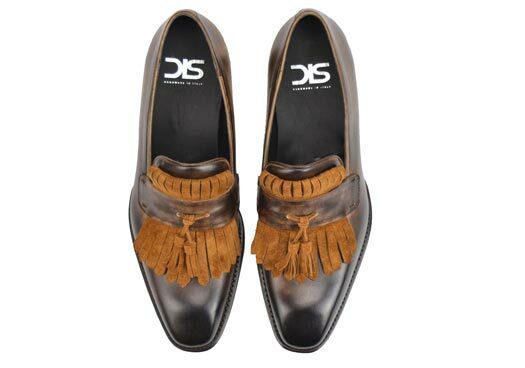 The tassel fringe give special twist to this sophisticated model. 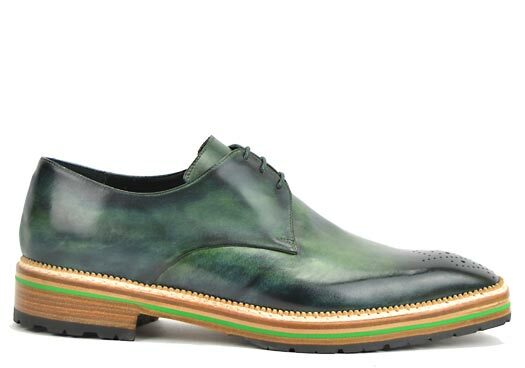 The bottom is handcolored and hammered by hand. 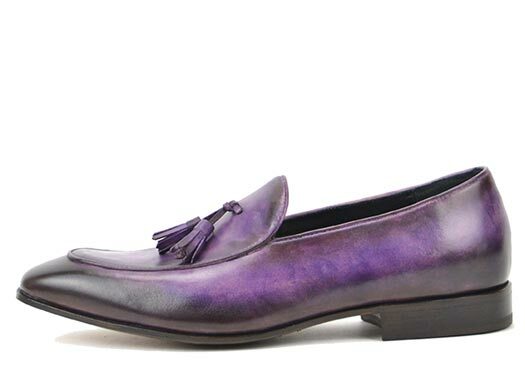 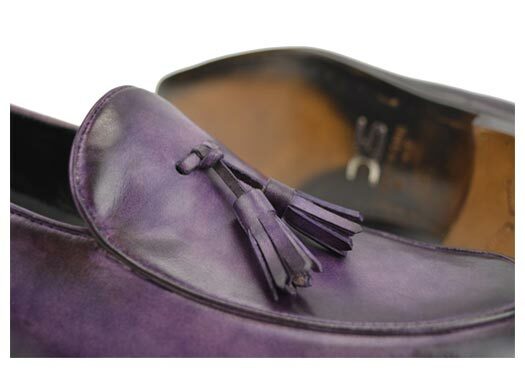 Tassel loafer in crust calfskin, handcolored and hand-finished in navy blue. 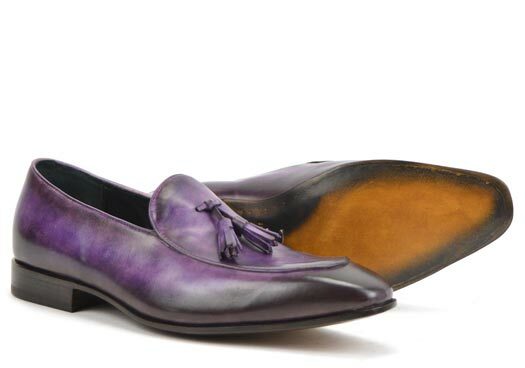 The hand coloring process requires repeated passages and the color stratification gives the footwear unique color shades, which are otherwise not reproducible. 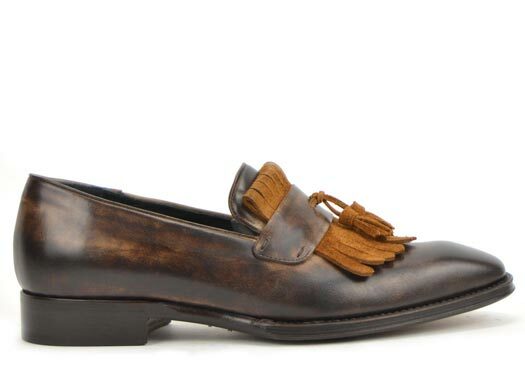 The final polishing exalts the shades, giving the moccasin a unique and inimitable appearance. 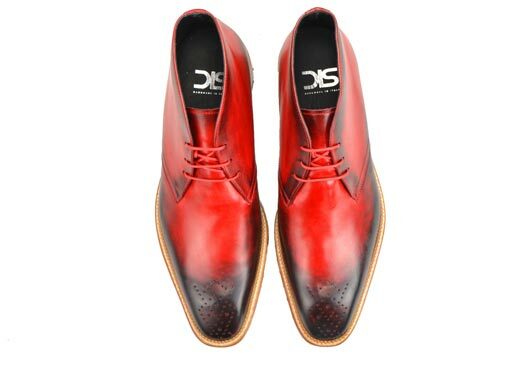 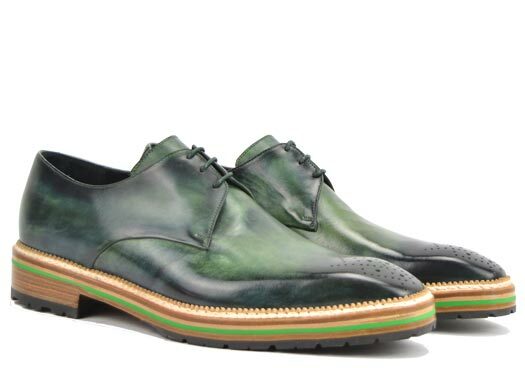 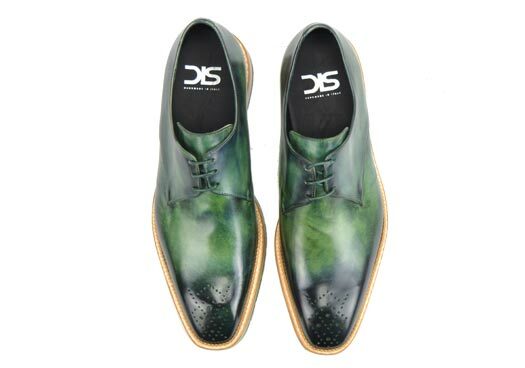 Man Derby Shoe in Calf Leather, completely hand-colored. 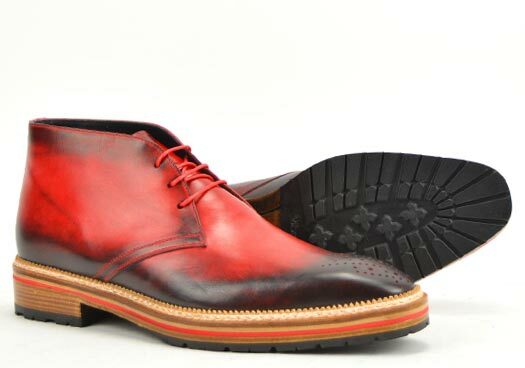 The Norwegian-style leather sole is embellished with a rubber layer, making it a perfect fit for for tackling winter weather. 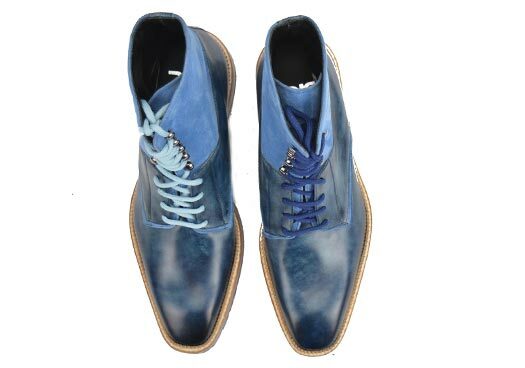 Men's boots in calfskin with 3-hole lacing, completely hand-painted. 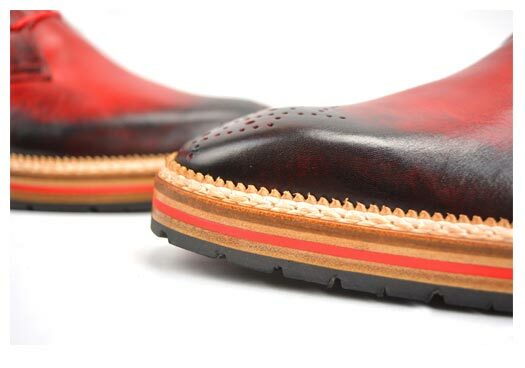 The Norwegian-style leather sole is embellished with a rubber layer, making it a perfect fit for for tackling winter weather. 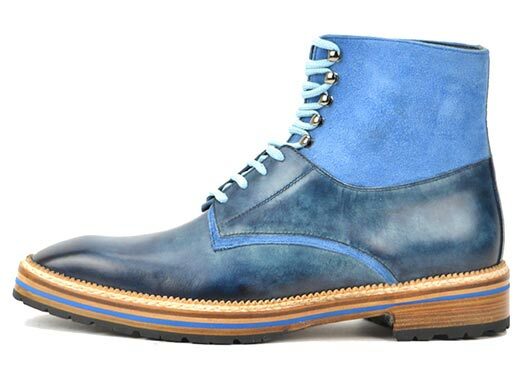 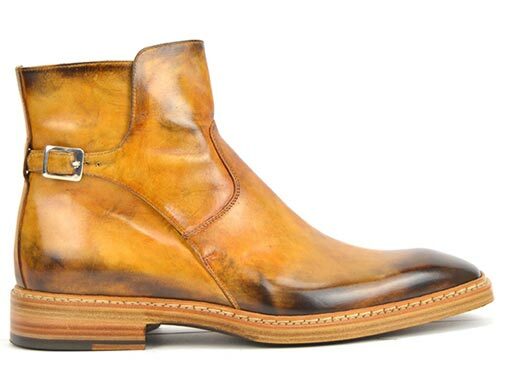 Men's calfskin boots with side buckle and smooth upper which enhances the shades of the handprinted colors. 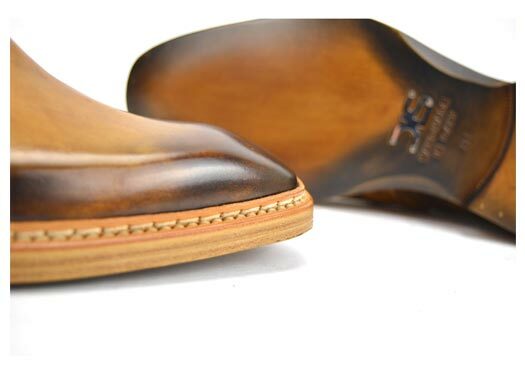 Hand-finished double leather sole, natural wicker with double stitching. 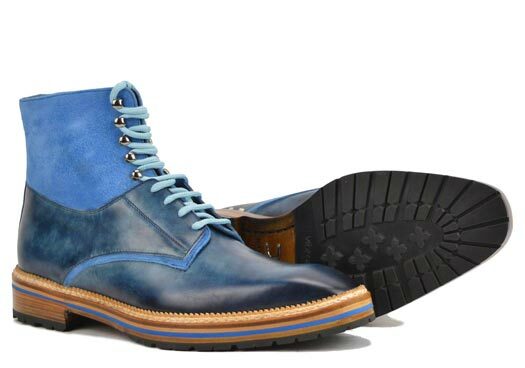 Crust calfskin men boots with premium Kudu suede, completely handmade and handcolored. 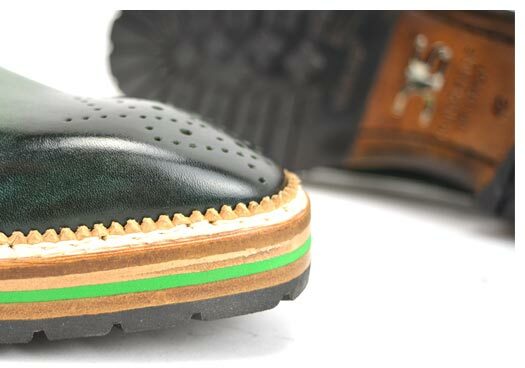 The Norwegian-style sole is made entirely of leather with an anti-slip rubber insert. 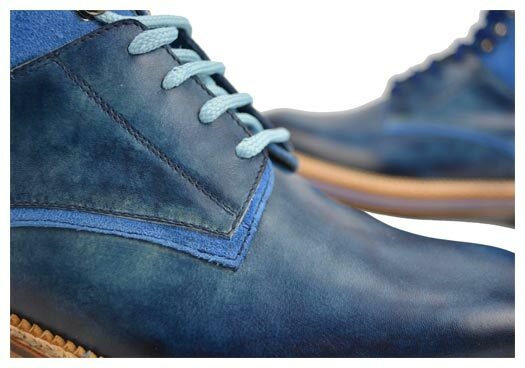 The color of the upper recalls the rubber innersole color in natural blue.